A 16-year-old schoolboy has broken the record for the fastest journey from Land's End to John O'Groats - by public bus. 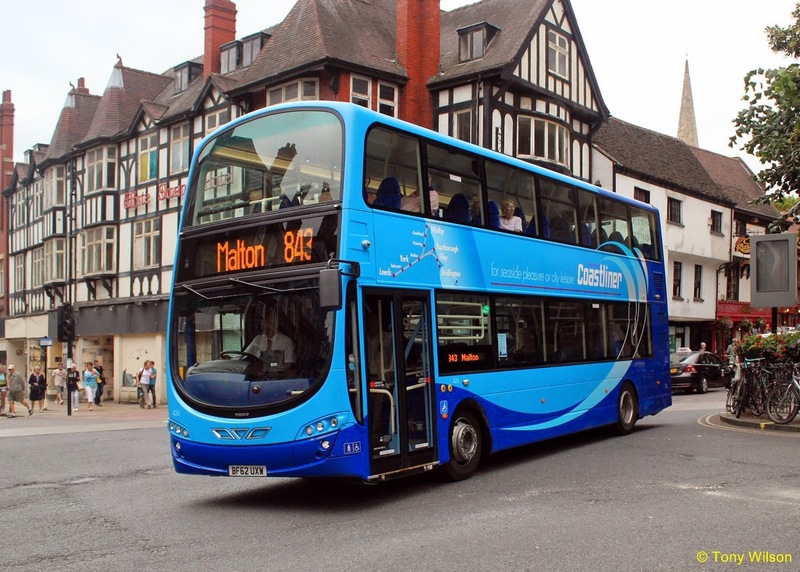 Adam Mugliston spent four days and £170 on tickets travelling 1,167 miles on 36 different buses to beat the previous record by nearly a day. He spent months poring over bus timetables to plan the quickest route and set off on his epic journey to mark the completion of his GCSEs. Adam said: "I'm pretty knackered and glad to be home now. I got hardly any sleep, getting in after midnight and up again to get the bus before 6am. "It was all worth it though. It was a great trip. "My parents were a little worried about it but they were fine. They dropped me off at Land's End. "I'm in Year 11 and this is my way of celebrating finishing my exams." Adam, of Suffolk, started his journey on the number 1 bus from Land's End to Truro on Monday (June 23) at 7.21am. He made overnight stops at Bridgwater, Crewe, Newcastle, and Dundee Premier Inns - because the hotel chain was happy to accommodate a 16-year-old without parents. Four days, 10 hours and 44 minutes later he stepped off the X97 at John O'Groats. 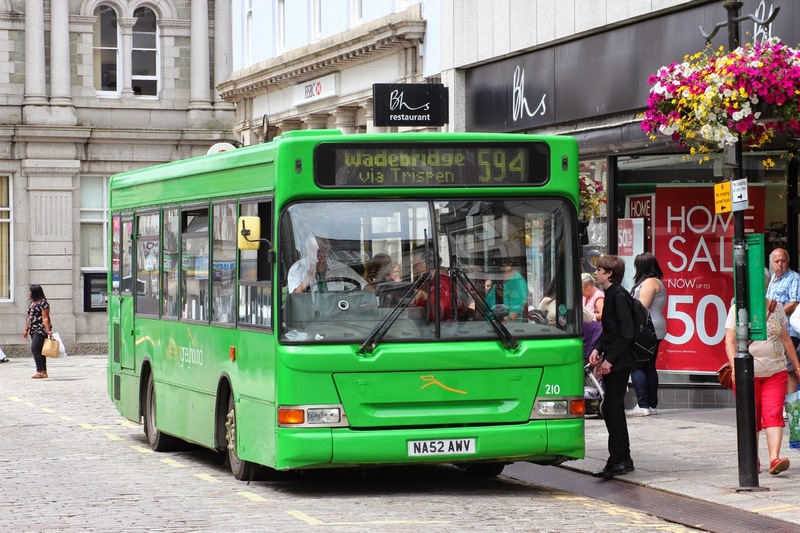 He came close to missing a bus change on his second day as the number 46 from Stroud to Cheltenham, Gloscestershire, was running late. 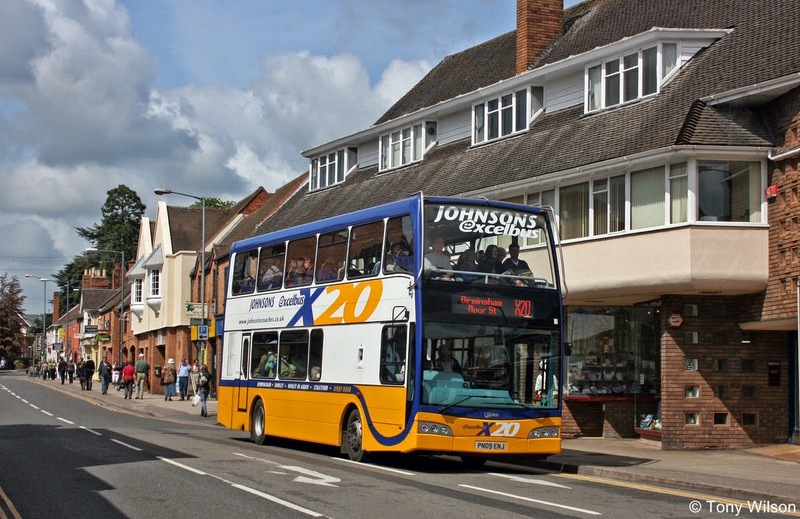 Adam only had nine minutes to spare when he got off the bus - just enough time to get his bearings and board the 801 to Moreton-in-Marsh, Gloucestershire. The schoolboy has a passion for public transport and hopes to work in the industry after university. He said: "Buses have always been my thing and I read about people trying the challenge so I thought I'd give it a go but do it quicker. After all, why not? "I don't know why, but I've always had an interest in buses. I want to go to university to study transport and hopefully get work with Transport for London. I've got work experience there this summer. "I'd love to work in scheduling transport. That has been an issue while planning this trip." There is no official Guinness World Record for the feat but Adam's time is believed to be almost a day quicker than anyone has completed the journey before. 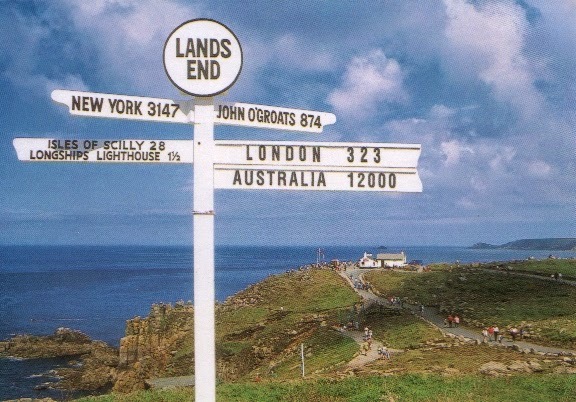 Adrian Cole, membership secretary of the Land's End John O' Groats Association, said he had not heard of anyone coming close to Adam's time before. Mr Cole said: "Four days beggars belief. His predictions on bus times must have worked out well. "From my experience on the buses - and I work for a bus company - that is really quite impressive." James Aukett, who works for London Buses, completed the journey in five days, seven hours and 25 minutes in 2011. Steve Gibbs, 74, will be attempting the epic trip in August, but without as much cost as he will use his bus pass. He hopes to raise £20,000 for Children In Need. 7:21 - 1 from Land's End to Penzance, arriving at 8.30. 9.33 - 18 from Penzance to Truro, arriving at 11.16. 11.45 - 594 from Truro to Wadebridge, arriving at 12:55. 14.00 - 510 from Wadebridge to Exeter, arriving at 16.32. 17:00 - 1B from Exeter to Willand, arriving at 17.58. 18.22 - 22 from Willand to Taunton, arriving at 19.12. 19.55 - 21 from Taunton to Bridgwater, arriving at 20.39. 5.48 - 21 from Bridgwater to Weston-super-Mare, arriving at 7.10. 7.32 - X1 from Weston-super-Mare to Bristol, arriving at 8.41. 9.02 - 47 from Bristol to Yate, arriving at 9.47. 10.15 - 84 from Yate to Wotton-under-Edge, arriving at 10.53. 11.30 - 40 from Wotton-under-Edge to Stroud, arriving at 12.10. 12.50 - 46 from Stroud to Cheltenham, arriving at 13.36. 13.45 - 801 from Cheltenham to Moreton-in-Marsh, arriving at 14.55 (did not arrive until 15.06). 15.15 - 22 from Moreton-in-Marsh to Stratford-upon-Avon, arriving at 16.20. 17.05 - X20 from Stratford-upon-Avon to Birmingham, arriving at 18.37. 19.15 - X51 from Birmingham to Walsall, arriving at 19.47. 20.05 - 2 from Walsall to Cannock, arriving at 20.40. 21.00 - 74 from Cannock to Stafford, arriving at 21.30. 21.53 - 101 from Stafford to Hanley, arriving at 22.47. 23.19 - 20 from Hanley to Crewe, arriving at 00.10. 6.04 - 38 from Crewe to Macclesfield, arriving at 7.00. 7.15 - 130 from Macclesfield to Manchester, arriving at 9.22. 10.28 - 184 from Manchester to Huddersfield, arriving at 12.24. 12.45 - X6 from Huddersfield to Leeds, arriving at 14.07. 14.40 - 843 from Leeds to Scarborough, arriving at 17.37. 18.15 - X93 from Scarborough to Middlesbrough, arriving at 20.23. 20.15 - X10 from Middlesbrough to Newcastle, arriving at 22.23. 10.33 - X15 from Newcastle to Berwick-upon-Tweed, arriving at 12.58. 13.55 - 253 from Berwick-upon-Tweed to Edinburgh, arriving 16.08. 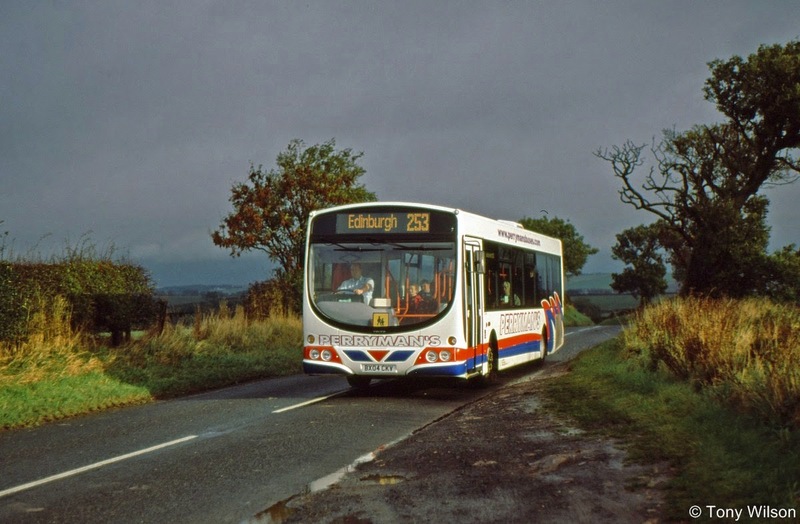 18.45 - X59 from Edinburgh to Guardbridge, arriving at 20.27. 21.02 - 99A from Guardbridge to Dundee, arriving at 21.02. 6.30 - X7 from Dundee to Aberdeen, arriving at 9.01. 9.25 - 10 from Aberdeen to Inverness, arriving at 13.14. 14.40 - X99 from Inverness to Dunbeath, arriving at 16.56. 18.02. Three minute walk to the John O'Groats sign, arriving at 18.05.